Our last Newby Orchard Group winter pruning day of 2017 is fast approaching. 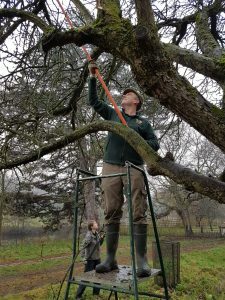 On Tuesday 14th February the Garden Team and our enthusiastic band of Volunteers will continue with the renovation work (that we started in December), of the veteran apple trees in the Heritage Orchard. 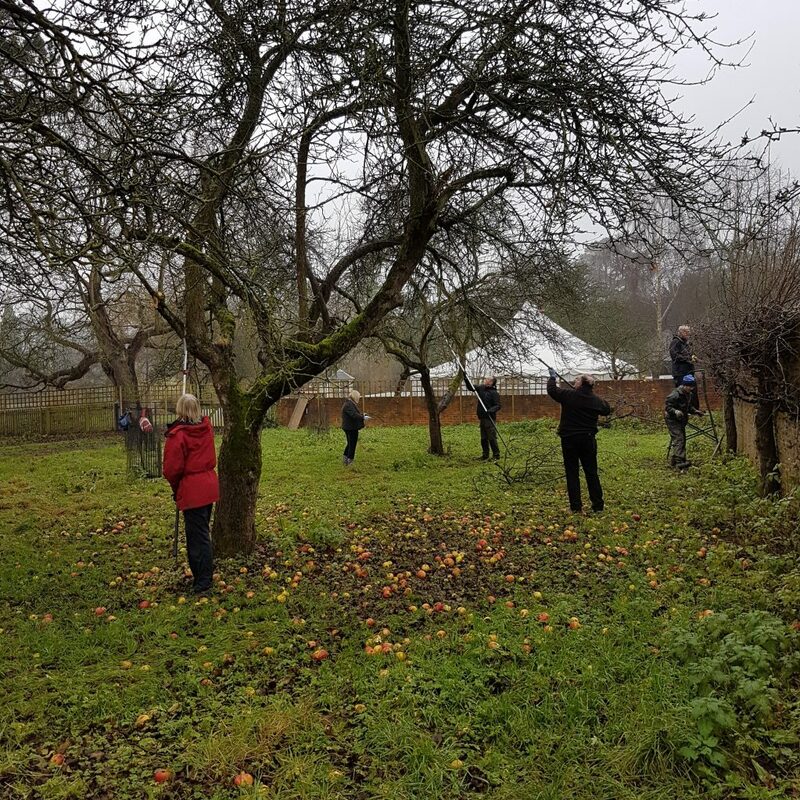 This Group has been meeting for over three years, and was created with the aim of ensuring the protection and preservation of the 50+ varieties of apple trees to be found at Newby. 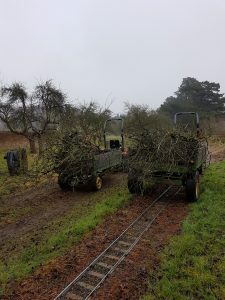 We have undertaken a lot of great work and made significant progress to improve the health of our wonderful Heritage Orchard, which was planted in 1896. We are making excellent progress and the results of all our efforts were very evident last summer with healthier trees and better fruit. There is always a good mix with the garden team, our regular volunteers and Orchard Group helpers. Whether you are a keen knowledgeable fruit enthusiast or someone wanting to learn and gain experience for to maintain your trees at home, everyone is welcome. The day is about preserving the individual older trees and maintaining the young replacements we have planted, and our aim is to provide a learning platform and sense of achievement and being of part of a crucial restoration program.